Eiji Hino is a traveling man who has no place to call home and a tragic past. 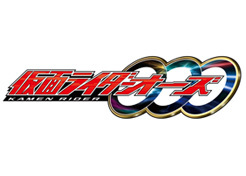 When metallic creatures known as the Greed awaken after their 800-year slumber to attack humans and feed off of their desires, the disembodied arm of the Greed named Ankh gives Eiji a belt and three Medals to fight the other Greed as Kamen Rider OOO. The mysterious Kougami Foundation approaches Eiji and begins assisting him in his fight against the Greed, though their true motives are not clear. As Eiji fights the Greed and their Yummy monsters, learning more of the Greed and Ankh, he starts to find a purpose beyond his journey.